The launch of Air India’s maiden direct flight from New Delhi to Tel Aviv on 22 March brings a lot of hope for Israel government to push tourism between the two nations. “Israel received around 60,000 tourists from India in 2017. With this direct flight, that is cheaper and takes lesser time (seven hours), the tourist influx will go up both ways. We are expecting that the number of tourists from India in Israel may go up to 80,000 to one lakh this year,” director, Israel Ministry of Tourism, India, Hassan Madah told The Statesman in Tel Aviv. Madah is posted in Mumbai and travelled to Tel Aviv in the inaugural flight from Delhi. “We were pushing it for some years. Ultimately, we have got through. Apart from government to government connectivity, this flight is an important step towards connecting people of two countries,” he said. The flight, which will ply thrice a week, will cover the distance in 7.15 hours, 2.10 hours less than the time taken by the only other airline, Israel’s national carrier El Al, that flies between the two countries from Mumbai. The direct link from Delhi will not only strengthen relations between India and Israel, but is being tipped as a ‘historic breakthrough’ for international relations due to Saudi Arabia’s decision to permit Air India to use its airspace. “It is a great move,” Hassan said. The inaugural Air India flight that reached Ben Gurion international airport inTel Aviv on the night of 22 March was received with much fanfare by authorities in Israel, including Israel’s tourism minister.Thousands of Israelis (55,000 in 2016) come to India every year. 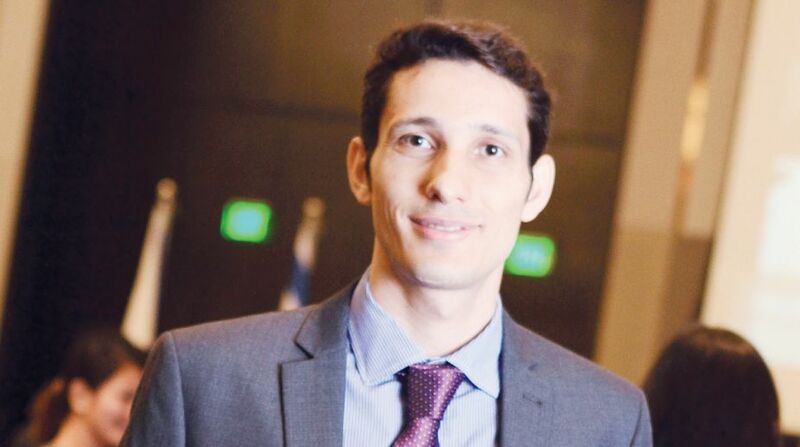 Hassan Madah said that Israel Ministry of tourism is working on connectivity from other Indian cities like Kochin and Goa in tourist season later this year. “We are also planning to promote Israel as destination for film shooting,” he said. He said Israel has many tourist attractions like Tel Aviv, Jerusalem, the desert, Dead Sea and Galilee and many other sites. The tourism official said Israel is safe and that is why about three million tourists visited the country in 2017. He said the crime rate in Israel is less and people don’t fear walking on roads during late hours.